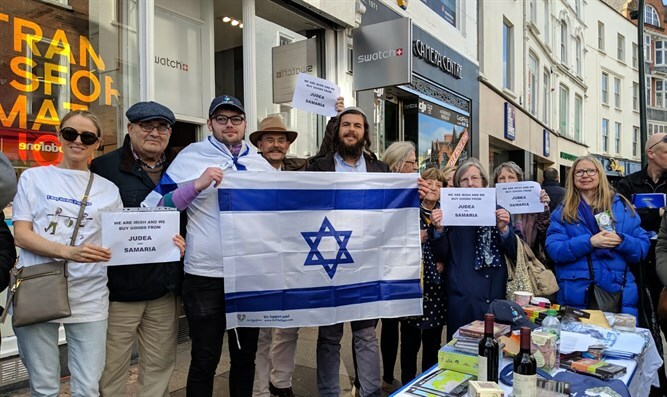 Over 100 people marched on Sunday (Feb. 17th) in Dublin, the capital of Ireland, against the proposed legislation whose goal is to boycott products from Israel made in Judea and Samaria. In the most recent vote in the Irish Senate this past November, the legislation passed with a majority putting it one step closer towards being made into law. According to the legislation, anyone purchasing Israeli products from Judea and Samaria will face a significant fine or potentially even imprisonment.